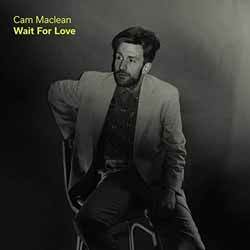 Drawing on personal experience to explore heartache, loss, contemporary masculinity and redemption, Cam Maclean's new album contains 8 songs (27 min, 47 sec). It's a little short for it to be called a full length LP. The tracks on Wait for Love are interesting enough, but there's nothing here we haven't heard before. It's a laid back affair that has its roots in soft rock from a bygone era. The production was the one thing that really grabbed my attention. It gives the whole album a sort of hazy sound, as though you're listening to it through a tube (if that makes sense). It's a little trippy and wraps everything up in a strangely comforting sound. It's not the sort of album you'll dig out six months from now, but for a brief distraction from what you normally listen to, this is momentarily satisfying.